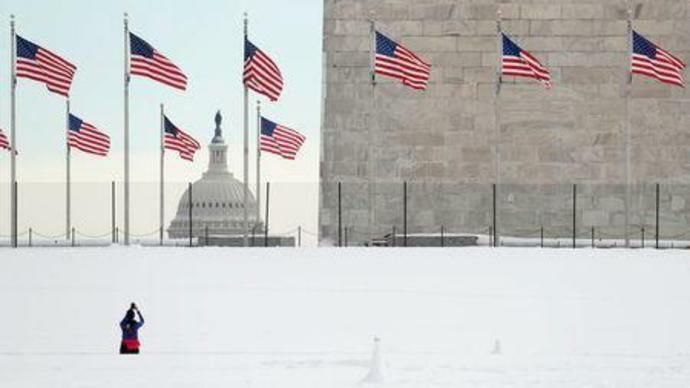 (Reuters) - The longest shutdown in history affecting a quarter of U.S. government reached its 25th day on Tuesday, with most of the 800,000 employees who have been furloughed or who are working without pay having missed their first paychecks last week. The White House and congressional Democrats remain divided over Republican President Donald Trump's demand for money for a border wall. The shutdown, which began on Dec. 22, is the 19th since the mid-1970s, although most have been brief. A 1995-1996 shutdown over a funding battle between Democratic President Bill Clinton and Republican House of Representatives Speaker Newt Gingrich lasted 21 days. The current one has not affected three-quarters of the government, including the Department of Defense and the Postal Service, which have secure funding. But some 800,000 employees from the departments of Homeland Security and Transportation, among others, have been furloughed or are working without pay. Private contractors working for many government agencies are also without pay and private companies that rely on business from federal workers or other consumers - such as national park visitors - are affected across the country. The acting director of the White House's Office of Management and Budget, Russ Vought, has said tax refunds would be distributed despite the shutdown. Of 245,000 agency employees, nearly 213,000 have been deemed "essential," according to the department's contingency plan, so they are working without pay until a funding bill is passed. More than 50,000 TSA officers are working without pay, but Democratic lawmakers have expressed concern about some transportation employees failing to show up for work or calling in sick. Most of this department's 7,500 employees are "non-essential" and only about 340 are working. Nearly 1,000 others may be called in for specific tasks, without pay. HUD, which oversees some housing loan and low-income housing payment programs, warned that a protracted shutdown could result in a decline in home sales. The National Park Service, under the umbrella of the Interior Department, is operating with a skeleton staff. Under its contingency plan, some parks may be accessible, with others closed completely. The park service is providing no visitor services such as restrooms, facility and road maintenance and trash collection. Some volunteers have worked to clean up sites, according to media reports, and some states and other localities have also pitched in funding to keep parks operating. There has been damage to fragile lands by unmonitored visitors. Some campgrounds have closed because of sanitation issues. The Department of Commerce's Bureau of Economic Analysis and Census Bureau is not publishing economic data, including figures on gross domestic product, inflation, personal income, spending, trade and new home sales, during the shutdown. Immigration judges are among those furloughed, leading to thousands of long-delayed deportation cases being rescheduled. The Food and Drug Administration and other agencies under the Department of Health and Human Services are partially affected by the shutdown. Some food and drug inspections are on hold, but the FDA says it is still able to respond to emergencies, such as food borne illness outbreaks. The Indian Health Service is not able to provide most of its funds to tribes and Urban Indian Health programs. Some scientific research projects also cannot continue in full. The Department of Agriculture has said that U.S. farmers could have more time to apply for aid aimed at mitigating any harm during ongoing trade disputes with China, among others, adding that farmers who had already applied would continue to receive payments. Funding for food aid for low-income Americans, known as the Supplemental Nutrition Assistance Program or SNAP, will continue in February, Agriculture Secretary Sonny Perdue said last week, but he warned the outlook for March was uncertain if there was no end to the shutdown. The FCC, which regulates radio and television broadcast and cable systems, has suspended most operations. Work for "the protection of life and property" will continue as will operations at the agency's Office of Inspector General, the FCC's internal watchdog. The National Highway Traffic Safety Administration (NHTSA) has furloughed nearly 60 percent of its staff, halting auto safety investigations and new vehicle recall notices. The agency said it would recall furloughed employees if it "becomes aware of an imminent threat to the safety of human life." Air traffic controllers and other aviation industry workers protested on the Capitol grounds last week. An estimated 1,100 of the office's 1,800 employees are on leave. That includes most of the Office of Management and Budget, which helps implement budget and policy goals. The Environmental Protection Agency has furloughed most of its 14,000 workers, with fewer than 800 deemed "necessary to protect life and property" reporting to work without pay. Workers who monitor pollution and clean up superfund sites are among those furloughed.